I really, really want to explain what is SOFRITO, and the importance of it. In order to try to explain my reasoning, I have to explain the basic tastes known to the culinary world. Let's start with the basic ones, Salty, Sweet, Bitter, Sour and Hot-Spicy. Each one of this tastes are easy recognizable by our taste buds. Apart from this easy ones there are other ones but to me those are simply two or three of the first ones put together in a new name. Among the Culinary world there is a name that people says a lot, is the name of a new taste, they call it UMAMI, they explain that it means delicious, people says that a good way to know what is umami is to try MSG. If you are familiar with msg, you also know that is bad for your health. MSG is a food flavor enhancer that will fix even the worst dish of a bad cook. They use it when they feel that their food is not good enough. I am not going to lie, I used msg before, when I lived in Peru and because I did not knew better, and reality is that it makes your food more "sabrosa" (yummy). But umami means delicious, and the same can be achieve when the dish is balance in perfection with the 5 basic tastes of food. The combination of this 5 makes the perfect formula, and is here were SOFRITO is the star. Learn to balance the amount of onion and garlic against the amount of meat or the rest of the ingredients and you will achieve the umami taste, nothing gets easier than that. Heavy stews and soups, are were umami can be achieved better. But a simple salsa will include a combination of the 5 tastes, and most chinese/oriental cuisine are a combination of the 5 as well. The taste of an apple is sour and sweet. Then imagine you are making an apple slaw, the amount of sour and sugar you will put is less because the fruit is already sweet and sour, but you will add salt, a touch of hot, and maybe some ginger (that is a little bitter), not a lot. Learn to play with the 5 basic tastes, to achieve a delicious food. 1. Heat a heavy bottom pot or pan, add oil and heat it through. 2. Add the onions, sauté them for a few second, add water and cook the onions, keep adding water until the onions became soft and translucent,. But only add water little by little. 3. 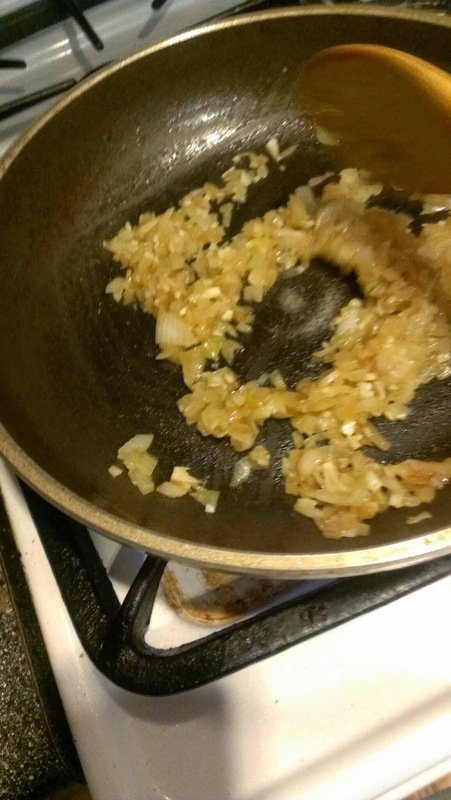 When the onions are translucence and soft to the bite, no crunch remaining, let the water evaporate and add the garlic, fry and stir for at least 1 minute to allow the flavor from the garlic and the onion to mix together. Up until this part all countries Sofritos are the same. When you brown onions, this ones caramelized and turn in a savory sweet, and when you add the rest of the ingredients according to the recipe region, you will achieve any flavor from any cuisine.